"Throttled" short of the line! Once again, we had the Sage on the sidelines last Saturday. The following is his take on the affair. Basically the score at half time tells the tale. On the day it was two teams clearly differentiated by a game plan based on possession and position that produced team continuity. The ‘never say die’ from the CW lads kept pride in the game but that was not enough to set the scoring in motion. No territorial presence in the first half made the mountain too high to climb. In all, the Braves were simply more than could be handled – hats off to a very good win. CW recognized Gareth Sandner with the Hard Hat Award, his slight frame punching above its weight all game. CW was also chasing this game all day long. Not a good position to be in vs a well drilled, big, cohesive group of UBC teammates. The Tricolors were up for the test and their fitness kept them in the game as well as being dangerous for most of the match. UBC presented a solid challenge in the scrums; in the line outs they were the best we’ve seen so far, attacking the CW throw ins; and for CW to make progress with ball in hand it seemed every hit up was met with stout defence requiring more work and cycles to get into the red zone. UBC opened the scoring at the five minute mark and Pitblado responded after an alert tap penalty, 7 – 5 visitors for a moment of glory! The Thunderbird scored in response and led at the interval, 17 – 7. A penalty and a further try put UBC ahead, 25 – 7 with about twenty to play. 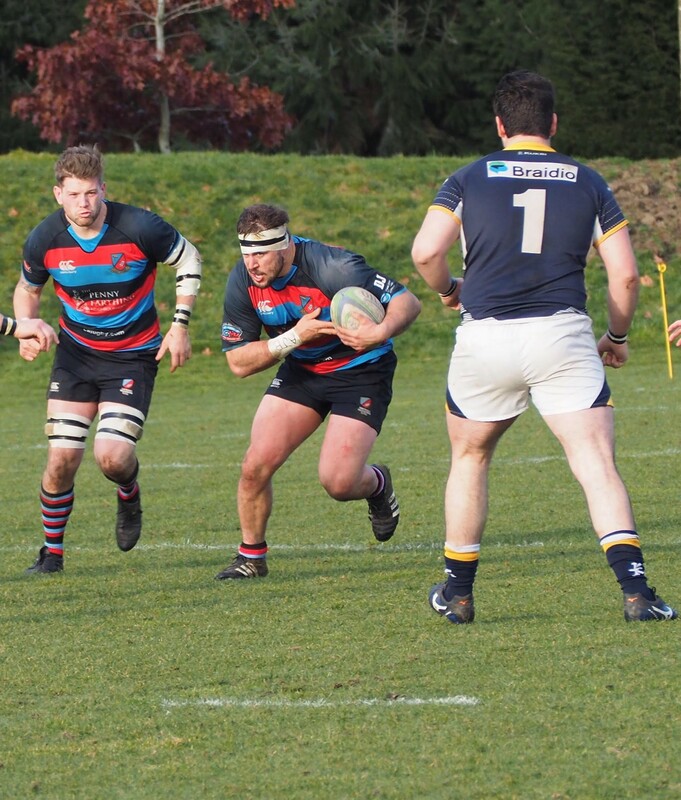 Hard-working captain, Nate Stewart was able to respond, breaking an almost impregnable defence, to reduce the gap at 25 – 14 however, the hosts closed it out with a late try down the wing for a more comprehensive than predicted, 32 – 14 victory. For CW, newcomers Joe Massyn and Dan Griffiths, along with freshly minted Fergus Hall did not look out of place on a day when the UBC backs were pretty lethal. Walsham Owen was awarded the Hard Hat for a quality performance. Lesson learned, if Premier and Divvie Titles are in the plan, then this is the standard that CW will need to meet and beat. The Sage. Human Interest: In the adjacent shot, the initials “AJB” on Braddock’s tape can be discerned. Earlier in the season, John’s parents and uncle spent a month in Victoria, simply embracing CW to the fullest. Sadly, in the interim, John’s uncle Andrew has passed away and a message was sent to the club from John’s dad (an avid reader of our blogs); “Hi again Craig, could you pass along to the CW Exec that while Andrew was still lucid he talked a lot about CW and how much he enjoyed his time in Victoria and with the club. He said his spirit will remain on the balcony at Windsor forever.” Indeed, a memorable tribute to our club. It appears that JB, in his own indominatable way has also chosen to remember his uncle. (Ed. A special shout out to photographer, Wendy Newman whose work week in and week out provides a record of the battles. The photos from the UBC game can be viewed HERE). 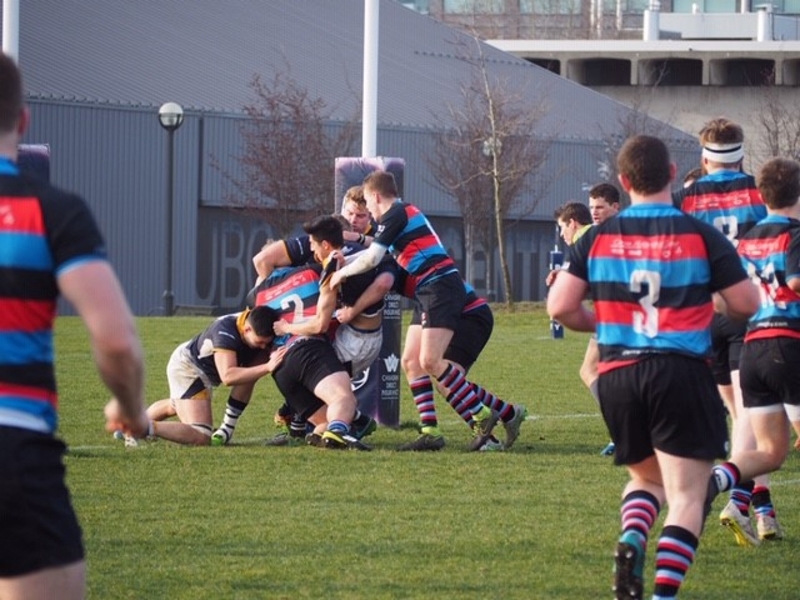 OTHER WEEKEND RUGBY - Yesterday's news! The writer caught a couple of the sevens matches in Sydney. The women were disappointing although in the Ireland game, I thought they were "stiffed" in the dying moments by a miscall from the ref on a Brit Benn "non-release" - WRONG, with momentum missing for three quarters of the match, the try was on the cards and their whole tournament may have been different. Day #2 started with a good outing against the Kiwis, (winners of all three tournaments and undefeated in their last myriad of games!) Having said this, I could not believe just how errant our ladies' passing was, one or two connections and they could well have pinched this 17 - 7 loss. They then picked up their socks and defeated Russia and France to finish fifth and remaining in the "top four", tied with the Aussies. As for the men, their best effort was a solid win over the Scots, four places ahead in the standings. Their loss to Argentina looked like it could have been avoided and they remain in eleventh overall, above the relegation bubble at this point. Whilst with men, Uruguay nutted out the NSMT on the last play of the game which really seemed as if it was there for the taking.